Volunteering with a local shelter and photographing the animals for adoption, Liz Miesnik wanted to do more. Coming to terms with her own past thoughts of animal shelters being “depressing” places, and wanting to bring the positive aspects of shelter life to the forefront of the public, the vision for her upcoming book, A Second Chance… An Inspirational Journey Through the Eyes of an Animal Shelter Volunteer was born. “Volunteering and photographing the shelter animals is something I really enjoy doing” said Liz. “Working together with others who have the same mission to stop pet overpopulation, animal abuse, and to educate the public on these issues is very rewarding.” Through her book, Liz hopes to bring information to the public on how they can make a positive difference in their community. A Second Chance highlights 5 different rescue organizations in Eastern North Carolina and features 206 pages with photographs paired with motivational quotes. Part of the proceeds from the sale of the book will be given back to the rescues. “You can see the love and dedication these volunteers and staff give every day to help make the transition of shelter life easy until these animals find their forever homes. I hope that the community will join me in sending a big Thank You to those that make a difference in the lives of these animals” said Liz. About the Author - Liz Miesnik has always been an avid animal lover. Growing up on a farm in central Florida, she spent much of her time surrounded by her dogs, horses and cats. Her love for these animals led her on a path throughout her life working towards making a positive difference in their lives and the lives of other animals. Volunteering with Heifer International, N.E.A.D.S. (Dogs for Deaf and Disabled Americans) and fundraising for the Sterling Animal Shelter, and currently involved with the Humane Society of Eastern Carolina, Liz is hoping to bring to light the issues currently facing our shelters and rescue organizations, and working towards making a positive change. 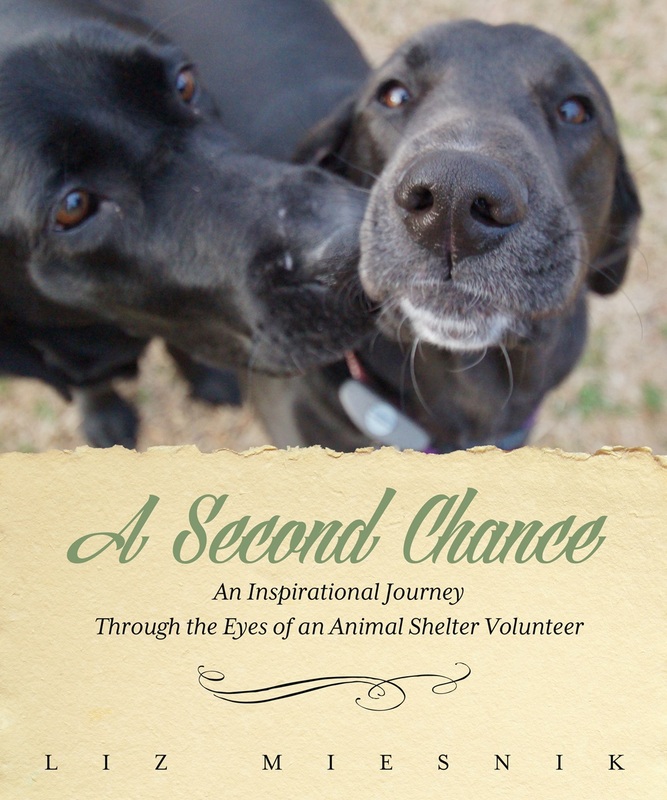 "A Second Chance...An Inspirational Journey Through the Eyes of an Animal Shelter Volunteer"This book will touch the hearts of many and is a beautiful depiction to animal lovers, inspirational, self -help and motivational readers alike. Liz MiesnikAuthor, "A Second Chance...An Inspirational Journey Through the Eyes of an Animal Shelter Volunteer" 5 Ways to Make a Positive Difference in the Lives of Animals in Your CommunityA short list of ways to help out shelter and rescue animals in your community.